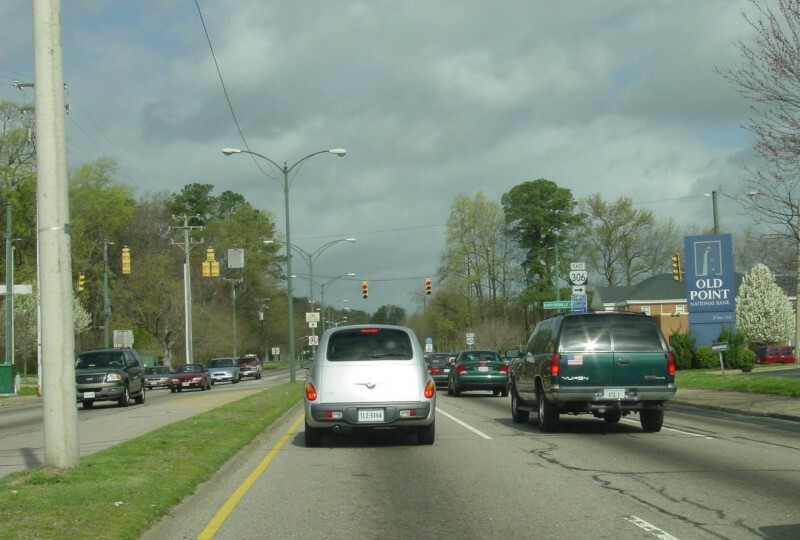 VA 306 is a short connector along Harpersville Rd in Newport News. This is the western end at US 60/Warwick Blvd. Photo by Adam Froehlig, taken March 29, 2003. 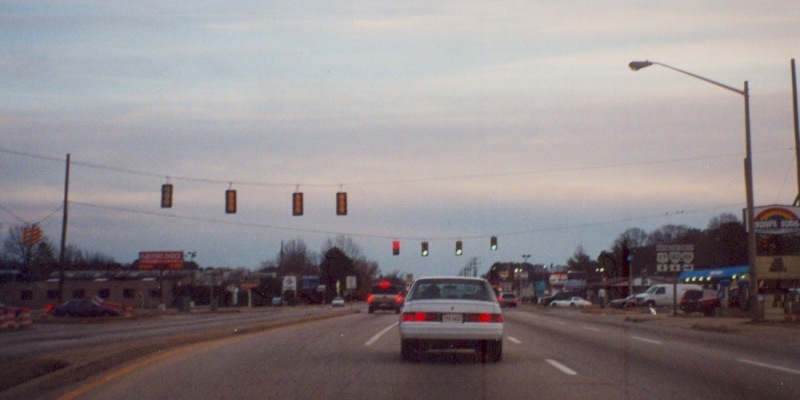 The eastern terminus, looking southbound along Jefferson Ave/US 17/VA 143. 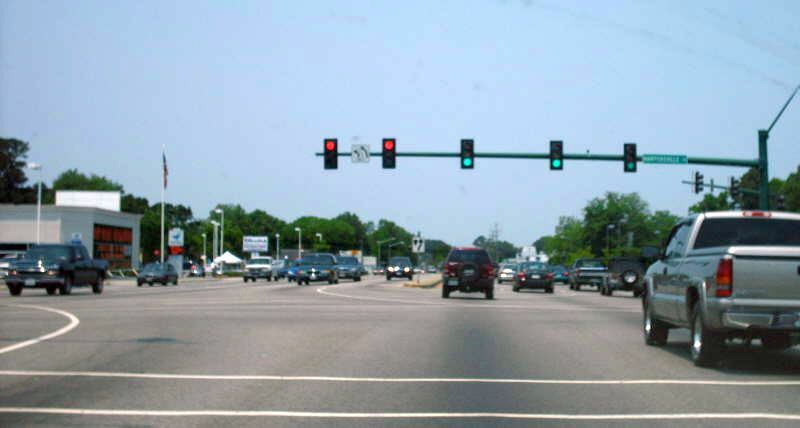 At the time this photo was taken, construction was underway on extending the Hampton Roads Center Parkway to this intersection (left side of the photo). Photo by Adam Froehlig, taken in 2002. Looking northbound along Jefferson Ave/US 17/VA 143. VA 306 didn't seem to be posted at this end anymore. Photo by Mapmikey, taken May 26, 2007.